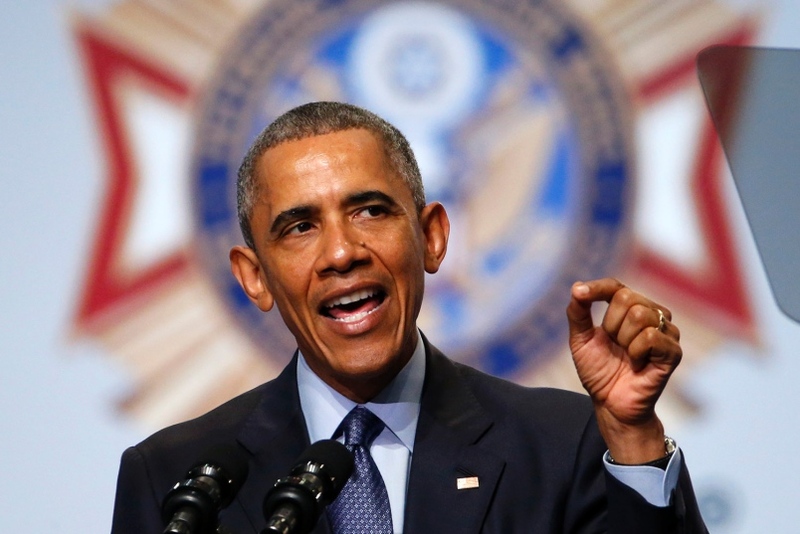 NEW YORK (July 21, 2015) – During a week where veterans’ issues took center stage due to the comments of Donald Trump belittling Senator John McCain’s military service, President Obama noted the efforts underway to reform the Department of Veterans Affairs and the federal government during a speech at the annual convention of the Veterans of Foreign Wars (VFW) in Pittsburgh. Meanwhile, Trump’s comments continue to dominate national headlines. “Anyone who wants to be elected Commander-in-Chief in 2016 — or to any elected office — should lay out a real plan with specifics about how they will improve the lives of America’s veterans and their families. IAVA also today launched a petition on iava.org calling on presidential candidate Donald Trump to fully apologize to Sen. McCain and veterans everywhere for demeaning the senator’s military service. We hope that Mr. Trump will see the error of his ways and do right by America’s veterans. We also hope that his comments will present a silver lining by jumpstarting a long overdue discussion by all candidates on veterans policy. But this discussion is bigger than one candidate and one insulting statement; it’s about showing true national leadership and laying out real plans to support our veterans on issues like VA reform, caring for women veterans, protecting the New GI Bill and battling veteran suicide,” Rieckhoff said. Currently only a handful of presidential hopefuls mention veterans in the policy section on their campaign websites, and no candidate has laid out a detailed proposal about how they would reform the VA, end the practice of for-profit colleges taking advantage of veterans or create better support for women veterans. More than 20 million veterans live in America, and according to a recent IAVA survey, 93 percent of its post-9/11 veteran members are registered to vote. IAVA has offered to be a resource to all candidates committed to connecting with and addressing the challenges of today’s veteran population. IAVA is a non-partisan organization founded and led by post-9/11 veterans. IAVA does not endorse any candidate from any party, but it demands strong support and commitment to the welfare of veterans from all of our nation’s leaders at every level and from every party. Additional information can be found here at IAVA’s Policy Agenda.